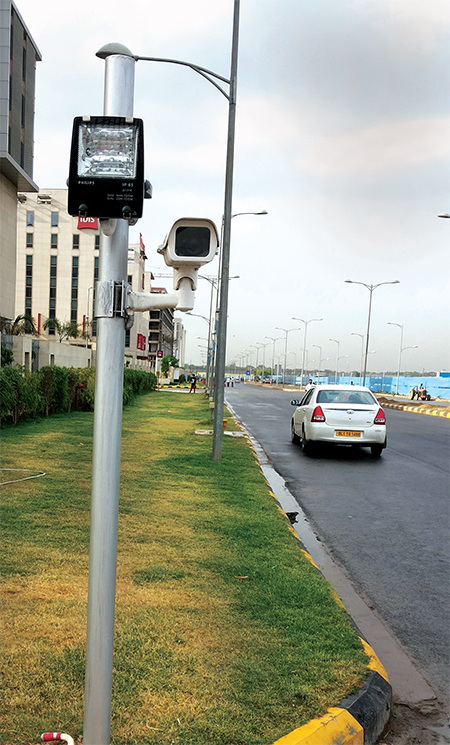 KritiKal SecureScan (KSS), an Indian Institute of Technology (IIT) Delhi incubated entity secures the New Delhi Aerocity completely by installing NuvoScanTM UVSS & VehiScan® ANPR system at multiple hotels entrances. Aerocity with 11 hotels and 5400 rooms is spread across 43 acres of land near Delhi’s Indira Gandhi International Airport. The hotels in Aero City are precariously close to various vital and critical installations including that of Indian Airforce, thus requiring higher security protocols and guidelines than other hotels in the capital. Given very high footfall and associated vehicular traffic, there was an urgent requirement to scrutinize all vehicles thoroughly entering these hotels. The concerned nodal bodies and law enforcement agencies have approved an elaborate plan for beefing up security in the Aerocity hotels. The plan included automated recording of the all incoming and outgoing vehicles in that areas channeled via all entry and exit points and checking of vehicle underside at each hotel entry gate. Kritikal’s NuvoScanTM-Automated Under Vehicle Scanning System was approved after extensive trials and validation by the security committee and is already installed and running successfully at seven hotels and is in the development stage in rest of the hotels. NuvoScan UVSS uses high end electro-mechanicals and scanning camera based assembly to capture a high resolution composite image of the complete underside of any moving vehicle and display it on the operator’s screen within fraction of seconds for a Go/No go decision. The operator thus analysis the underside view of the vehicle and takes necessary actions in case of any threat. 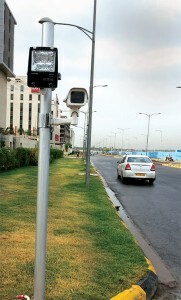 The driver image is captured by a camera installed at the gate, after getting a signal (go ahead) from UVSS operator, the boom barrier opens and car goes inside the hotel parking. NuvoScanTM is integrated with ANPR for automated record keeping of all vehicles entering the hotel gate. Additionally VehiScan®: Automated Number Plate Reading system is also installed at all entry and exit points of the whole aerocity area thereby giving a complete, automated and realtime record of all vehicles entering and exiting the area. There is an option to feed in a hot-listed/suspected vehicle at the central monitoring station whereby any match found at any of the entry/exit points can be flagged in real-time.